The Brick Project is building a world-renowned faculty network of global experts in the core subject areas of the project: History, Ecology, Art and Literature. One of these experts in the Brick Project network is Henriette van der Blom who is an expert on Cicero and teaches at Oxford University. Below is my interview with Henriette on her recent book about a formidable figure of Roman history, Marcus Tullius Cicero. Dr Henriette van der Blom teaches Ancient History at St. Johns College at the University of Oxford. Henriette is a Research Fellow at Wolfson College, Oxford University and also teaches papers on the history of the Roman Republic, early Empire, as well as specialist papers on Cicero. She has an MA, University of Copenhagen, and Doctor of Philosophy from Oxford University. 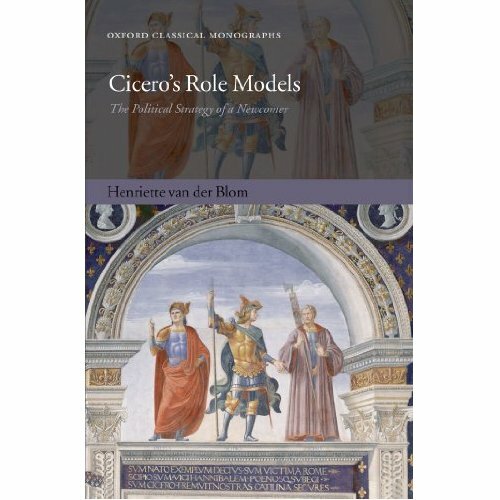 Van der Blom’s well-written and engaging book is a welcome addition to the growing resurgence in Ciceronian studies, particularly those studies that choose to investigate the intersections of Cicero’s political and literary motivations. 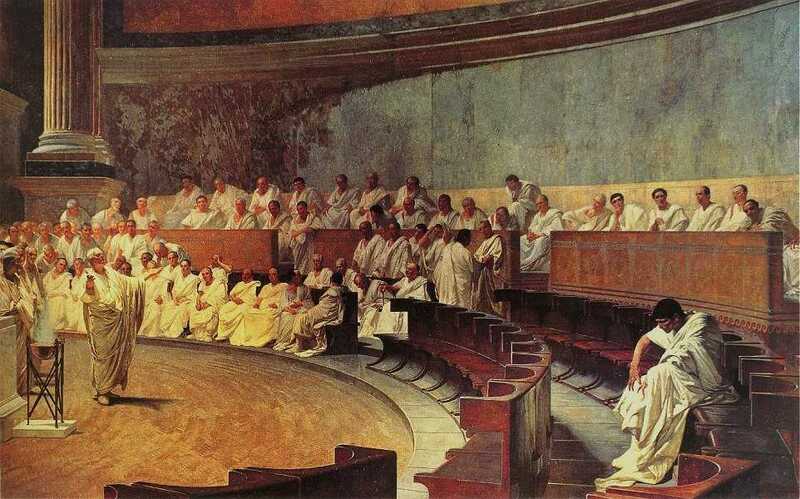 The book argues that Cicero advertised himself as a follower of chosen models of behaviour from the past to promote his public persona and political influence. Henriette’s current research focuses on the relationship between oratory and political career in the Roman republic, and it investigates (e.g. through close study of speech fragments) how far the oratorical profile and performances of politicians such as Pompey, Caesar, Cato the Younger and others define and restrict their political actions and agendas, and, ultimately, their political influence and careers. Back in the late 1980’s, the Elder Statesman for Cicero’s Corner at Harvard Club New York was D.R. (David Roy) Shackleton Bailey – “Shack” as he was affectionately known to us. 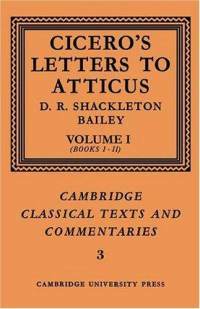 As you know, one of Shack’s most memorable accomplishments was his Latin translations of Cicero’s Letters to Atticus. These letters by Cicero were always a riveting subject for The Corner because of the wide range of detailed topics they covered, giving insight into life in the Late Roman Republic. And of course what is most intriguing is the fact that Cicero never intended these letters for publication. Take us through Cicero’s magnificent mind. What made him? How did he make himself? Cicero, lacking the pedigree of a long lineage of well-known consuls and generals; had to improvise and adapt a new kind of public persona based upon ideological role models. In your recent book, Cicero’s Role Models, you detail some of the specific historical figures that he emulated. How did Cicero pull off this multiple make-over? Why was it an effective strategy for him in establishing himself as a prolific orator and statesman and historian? Cicero is a wonderful case study in how an outsider tried to manoeuvre his way into politics – although he may not be representative. Cicero’s greatest talent was oratory and he used this as his main means to make it in politics: first he made himself a name as advocate in the courts (where advocates delivered speeches on behalf of their clients, sometimes in high-profile court cases), then he started to canvass for public office by supporting popular figures of the day and continuing his career as an advocate. Along the way, he exploited the Roman reverence for the ancestors – both as a group and individuals – and claimed to be following in the footsteps of the ancestors as a legitimisation for his arguments. While other Roman politicians could refer back to famous ancestors within their family, Cicero could not and therefore created a kind of ancestry for himself by referencing specific historical figures as his role models. We don’t know how unique he was in this, because Cicero’s speeches are the only full speeches extant from the Roman Republic, but it is fair to say that he used this oratorical tactic extensively and consistently. He seems always to have had a good example from history to support his point, and it is clear that he is very selective in his usage of these examples. This means that he used a large range of examples and promoted various aspects of them, so that he ended up having many different aspects to his own public persona. This was an effective strategy for Cicero simply because he tapped into the deep-seated Roman respect for ancestral models, he exploited his great oratorical talent, and he could tailor his public persona according to situation by pulling forward a matching historical role model.